Parathyroid Surgery Scheduling at the Norman Parathyroid Center. How to have a parathyroid operation at the Norman Parathyroid Center. 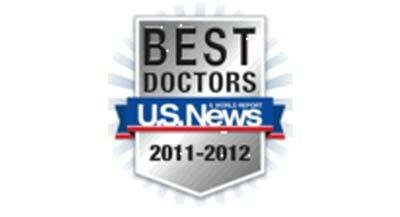 Expected cure rate over 99% by the most experienced, best parathyroid surgeons in the world. Parathyroid Surgery Excellence -- How to Become a Patient at the Norman Parathyroid Center, operating at the Thyroid and Parathyroid Institute at TGH. Parathyroid surgery can be difficult and challenging. Because of the demand for our expertise in mini-parathyroid surgery and our exceptional results, we perform an average of 15-16 parathyroid surgeries per day, 5 days per week (average 79 parathyroid operations per week, about 4000 per year). We perform more than the top 20 US Universities combined. About 59% of our patients live outside Florida. Our system allows patients to have their hyperparathyroidism evaluated before taking the trip to Tampa, so you make one trip and have one 4 hour visit with us to cure your problem. We do the same mini parathyroid operation to evaluate all four parathyroid glands on nearly every patient. The operation is no different for patients with positive scans and those with negative scans. We make parathyroid surgery routine, safe, and successful. This page will tell you how to have your operation with us, what it costs, and how the process works. Our surgeons work in pairs (or threes), so all our patients will have two or three of the top 7 parathyroid surgeons in the world participating in their case. Understand what makes our practice unique and our reputation as the best parathyroid surgeons in the world. Fill out our new-patient form. Obtain a medical opinion, consultation, and treatment recommendation with one of our expert doctors, and then get to Tampa. The Norman Parathyroid Center is by far the world's leading parathyroid treatment center with the world's best surgeons and most experienced team dedicated to parathyroid disease only. We perform surgery within the new Thyroid and Parathyroid Institute at Tampa General Hospital, a new wing of this large hospital built for our team. Our surgeons are the only surgeons in the world that limit their practice to parathyroid surgery. 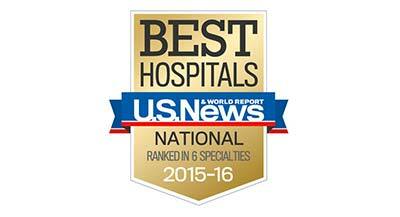 We perform more than 25 times more parathyroid surgeries than any other hospital in the world. We don't do breast biopsies, gallbladders, and obesity surgery. We don't put tubes in kids ears. Because of our expertise, people from all over the US and many other countries travel to Tampa to be cured of their parathyroid disease (see our MAP of where these people live). This experience gives our team unparalleled results. Historically, over 99% of all patients are cured at their very first visit with us--almost all via an operation that routinely takes between 18 and 35 minutes, going home between 1.5 and 2 hours (watch the video). We strive for a cure rate over 99% because we simply can't allow patients to go through the trouble of getting to Tampa and not being cured. However, don't let the fact that we perform so many parathyroid operations make you think that we don't treat our patients well. We do! In fact, every patient is given our doctor's cell phone numbers so they have access to them if the need arises. We don't have an answering service. Importantly, we do not have students or surgery residents perform any parathyroid operation (this is important to you!). There simply is no way to perform parathyroid surgery with the expertise we provide while having a surgeon in training being the person performing the operation. Click Here to read more about our expert surgeons. We provide the safest and most successful parathyroid operation available anywhere in the world which is why we have thousands of 5-star reviews and testimonials from over 650 doctors who had surgery with us, (and over 3000 other patients) who came here for their operation (we operate on doctors almost every day). We will help arrange all aspects of the trip except the travel. Typically a patient can fly to Tampa, have parathyroid surgery, and return home in the same time that he/she would be in the hospital if a standard parathyroid operation was performed. Nearly all of our patients go home within 2 hours of the operation. Patients who have their thyroid nodules removed at the same time still go home in about 2 hours. With one visit to our Parathyroid Center you will spend about 4 hours with us and take care of every aspect of this disease--putting it behind you for good for more than 99% of patients. During this one visit you will consult face to face with two or three of our seven surgeons (the most experienced parathyroid surgeons in the world), have a sestamibi scan by the team that invented many aspects of the scan (and has done far more than any other center), have an ultrasound performed by one of our expert surgeons to evaluate your thyroid (so we can take care of any thyroid problems at the same time), have a formal consult with a decision of the extent of the operation, have your operation by at least two of our surgeons, spend time in the recovery room with a view of the ocean (Tampa Bay), visit with the surgeons after the operation to review the photo of your tumor and the amount of hormone the tumor was making, and then head home (or to one of our partner hotels). And, with the exception of the operating room, your family can stay with you the entire time. You get all seven of our doctor's cell phone numbers, and one of them will call you the night of surgery. You don't need any scans or x-rays before you come here (we very strongly prefer you do not have any scans of any kind) because we do everything in one visit. Almost no insurances require a referral from another doctor. Your doctor can refer you here, or you can refer yourself. About 75% of our patients are sent to us by an endocrinologist--and we love working with endocrinologists, but you do not need to see an endocrinologist and don't need an endocrinologist referral--and no insurances require it. We will do everything they will do to make sure the right things are done. The scan, doctor visits, operation... everything done in one visit. Our patients get the same operation even if their parathyroid scan is "negative" (watch the movie showing how this is done). We do not change the operation we perform based upon the scan results because our gold-standard mini-parathyroid operation evaluates all four glands--this is the only way to assure you are cured the day of surgery and stay cured for many years to come. Please read that again--this is what confuses the most people. We do the same operation on everybody regardless of scan results (we look at all 4 glands in virtually all patients). Stop getting scans, and stop listening to doctors who tell you that you can be cured buy taking out the one gland that shows up on the scan. We wish nobody got a scan before coming here... it will not help and will not change what we do. And yes, we will take care of any worrisome thyroid nodules during your operation--we do this all day long. Watch the video of Dr Norman completing an entire 4-parathyroid gland operation in under 13 minutes removing two tumors when the scan showed only one. Percent that have a thyroid ultrasound in the operating room to assess for thyroid problems - 100%. Average wound length to evaluate all 4 glands - 1.1 inch--its the same. Average wound length if a thyroid nodule has to be removed also - 1.1 inch--no difference. Average amount of blood loss during the operation - less than 3 cc's (essentially none). How often we re-operate because another surgeon was unsuccessful - 1-3 per DAY. How often we operate on people over 80 years of age - virtually every day. Number of times any of our doctors have been sued - Zero. Never. How often we publish in major medical journals - about every 6 months. 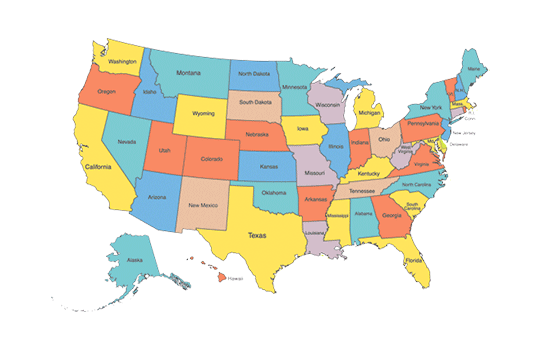 Number of States patients come from every year - 50 (about 50% of patients are from outside Florida) ( see map). Percentage of all parathyroid operations performed in Florida that are done here - about 70%. How often we operate on patients from Europe - 2-4 per week. How often we operate on patients from Canada - average 2-4 per week. Read a great blog and associated article about Canadians coming to Tampa for parathyroid surgery. Story published in Calgary Herald 4/6/14. The Norman Parathyroid Center at Tampa General Hospital. Our surgeons perform all operations with their dedicated surgical team at the Parathyroid Center at Tampa General Hospital, one of "America's Best Hospitals" in seven different medical specialties, including Head and Neck Surgery and Endocrinology (that's us...for 10 years in a row!). We have an entire floor of the hospital that is dedicated to parathyroid surgery only. We have the worlds most experienced and talented team dedicated to parathyroid disease--thus the repeated accolades and awards. Note: the Parathyroid Center at Tampa General Hospital is so nice, the patents have nicknamed it "the Parathyroid Palace". Take a Video Tour of our new Parathyroid Center. There is more about our center on another page. 1) the online medical opinion consultation with one of our experts. Whether or not your insurance covers these two services depends on your health plan benefit, but we can check the benefit for you ahead of time to see if your insurance will cover the services. We are in-network for most major health plans which will cover the cost of the operation, however, most of the insurers we are in-network with cover in-person, face-to-face services only. This means the operation itself will be covered, but not the online medical opinion consultation. The majority of health insurance plans will not pay for the online medical opinion consultation. If your health insurance plan does not cover the online medical opinion consultation, you are responsible for payment of that fee. If you want to obtain an online medical opinion consultation, but you cannot afford the fee, please let us know. We will make every effort to work with you so you can afford it. We have patients who are retired or on a fixed income. If you are on a limited income and cannot afford our fee, then please let us know and we will work with you. We will let you know if we can reduce or waive the online medical consultation fee depending on the type of insurance you may have and your financial situation. What does the online medical opinion consultation service entail? Our practice makes it easier for patients and their physicians to access world-renowned parathyroid specialists without the need for travel. In the time it would take you to travel for an in-person appointment with a specialist in Tampa and receive their diagnosis and recommendations, your online medical opinion consultation could already be completed. Our service allows you to remain in your local community, among familiar faces and surroundings, while still getting one of the world's foremost parathyroid specialists to review your pertinent medical information in detail, diagnose your condition(s), and issue treatment recommendations. It allows our patients to save the time and travel expense of multiple trips to Tampa. In connection with this process, including all related telephone calls with you pertaining to the online medical opinion consultation, one of the doctors will discuss with you your medical conditions and answer any questions you may have. Confused? Don't be! You will be assigned to one of our coordinators who will be your contact person throughout this process. We will collect your records and tests, organize your chart, and one of our experts will render a diagnosis to determine if you have parathyroid disease, how severe it is, and what your best means of treatment would be. Your information will be gathered and organized from your doctors and then cross-referenced against our database of tens of thousands of parathyroid patients we have treated. One of the world's most experienced parathyroid surgeons will render a diagnosis and determine what your best course of action should be. If your case is difficult, several of our experts will discuss your case. In connection with this process, one of the doctors will consult with you about your medical conditions and answer any questions you have. We will provide advice and consultation regarding your parathyroid status, your osteoporosis, your thyroid issues (nodules, etc) and your vitamin D status. The consultation is not merely about your current parathyroid status, but includes long term follow-up regarding your bones, calcium intake, and other related health issues for years to come. The goal of the online medical opinion consultation is to offer a convenient, patient-focused option for people who want to have one of our doctors diagnose whether or not they have parathyroid disease and to render an opinion on the most appropriate course of medical action, all from the comfort of their home and local community. This way, you need not make multiple trips to Tampa. This consultation is about getting you to Tampa for one trip, and being prepared for what you need for your specific problem. Our entire team (nurses, techs, doctors, etc) have dedicated their life to this one disease and we do nothing else. We do not have residents, interns or nurses performing the online medical opinion consultations or the operations, they are all completed by one of our very experienced expert doctors. What if I want an in-person exam and consultation in Tampa, instead of the online medical opinion consultation? The vast majority of our patients elect to obtain an online medical opinion consultation because of the convenience and immediacy it offers, and because they can avoid making travel arrangements to and from Tampa for that consult. However, if you prefer to travel to Tampa for an in-person exam and consult, that is always an option; simply request it from our office staff. We will schedule you for a time when an in-person exam and consult is available, but please note this typically takes longer to occur than an online medical opinion consultation because it is based on office hour availability, whereas our physicians can conduct online medical opinion consultations after hours or in the evenings, and account for differences in time zones. In-person exams and consults are typically covered by insurance plans, but it still depends on the rules of your insurer and your specific benefit plan. All patients have the right to come to Tampa for an in-person consultation and in that situation the online medical opinion consultation fee would not apply. Our goal is to take care of you and get you better. Our clinic is located at 2400 Cypress Glen Drive, Wesley Chapel, FL 33544. If you require a second surgery (or third, etc) for parathyroid disease because a previous surgeon was unsuccessful then the Medical Opinion and Consultation is $2500. Almost 10% of our business is operating on people who had one or more failed operations somewhere else. So if you don't come here for your first parathyroid surgery, please pick a good surgeon. The insurance will cover the cost of the operation. This type of surgery is much, much more complex than first-time neck operations and there are few doctors in the US who do this type of surgery with any frequency. We average 2 or 3 of these a day, and once again, no other surgeon in the world can do what we do. Your chart is much more complex. The disease is more complex. The decisions preoperatively and intra-operatively are much more complex. The decisions that need to be made prior to the operation and the planning of the operation is far more complex, and your long-term followup is more complex. Our experience with these patients is unparalleled. The preparation of these patients is significantly more difficult and takes considerably more time for our surgeons to review and study. Of course, the extra time we put into your problem almost always means we can find and remove the tumor that other surgeons could not. Our success rate for re-operations when other surgeons were unsuccessful is over 95%... and they also go home an hour or two after the operation. Occasionally, people come to Tampa for their second (or 3rd, 4th), parathyroid operation and during the formal, in-person consultation with scans (etc) we decide that an operation is not warranted or has a low liklihood of success and a decision to not operate is made. We will discuss this possibility on the phone during the chart review and consult, but the final decision to operate is always made at the hospital during the formal in person consultation. Remember, this is all we do, and we do it more than 70 times per week. We operate on several patients from Canada every week, as well as patients from other countries weekly. See our map. The total cost if you do not have insurance and must pay for the operation out of pocket is $13,520. This includes the consultation fee, chart prep, surgeon fee, anesthesia, anesthesiologist, x-ray, hospital, laboratory, operating room, operating room team, and recovery room. Everything except travel and hotel. We believe this is the least expensive parathyroid surgery cost in North America. We believe this is about half of what this operation will cost you at any other hospital in the US. There are no other hidden fees. If you have had a previous parathyroid operation and were not cured and you have zero insurance, the cost is $13,620. Waiting Lists - When Can You Have Surgery by the World's Most Experienced Surgeons? We perform parathyroid surgery 5 days per week (average of 15 operations per day, 5 days per week). It takes about 7-14 days for your chart to be completed and for one of our doctors to review it (a little longer if you have already had an unsuccessful parathyroid operation somewhere else). The entire process from the time of submission of the online form to an operation is usually about 3 weeks. The slowest part of the process is almost always getting your medical records sent to us. The good news: We are good at this because we do FAR more parathyroid operations than anybody else in the world... and we'll get lots more experience before its your turn. The bad news: there are other parathyroid patients in front of you (we will be practicing on them!). Remember, we'll do more parathyroid operations during the few weeks you have to wait for your surgery than almost any other surgeon will do in their lifetime. Also remember, this is not a cancerous tumor, and you've already had this disease for years... Yep, almost all patients have been growing a parathyroid tumor in their neck for at least 4-5 years before somebody figures it out. There are some exceptions to getting in sooner; we save a few spots on our schedule for patients with several dangerous calcium situations. If you have a special need, or you are in town during a certain time, just type that information into the online form, and let your coordinator know. Fill out our New Patient Form. The form is on a secure server your safety. Our New Patient Form will ask you the most important questions about your health, the names of your doctors and other routine questions. The form also has a place for your insurance (if you have insurance). Just fill it out and hit the 'submit' button. Our insurance experts will know how much (if anything) you will have to pay out of pocket for the operation (co-pays and deductibles). Note that most healthplans do not require a referral for parathyroid surgery. Contact your doctor's office and have them fax your records to us, specifically your calcium levels, PTH levels, bone scans, office notes, etc. This is usually the slowest part of the process. Our fax number is: 813-972-0077. Click Here to PRINT A Request For Medical Information Form . Print this form, fill it out, and fax it to each of your doctor's offices that have anything to do with your calcium or parathyroid issues. Printing and sending this form to your doctors is the easiest way to get your records to us. Call them on the phone later to follow up. You will be assigned personal "Patient Care Coordinator" upon submitting your New Patient Form: Julie, Sara, Alex, Yajaira, Emely or Holly. One of these ladies will contact you by phone to introduce themselves within a day or two after we receive your form and tell you what else is needed to complete your chart. You can expect several emails from your coordinator keeping you informed as your chart makes it way through our system. You can also expect an email from Gigi who will be checking on your insurance and estimating your insurance coverage and deductibles (if any). Gigi will be able to assist in obtaining authorizations from your insurance companies if needed. Please note that we are typically not able to obtain authorizations prior to you having all of your information to us. We are prefered providers for almost all health plans. Have your consult. After we review your medical records in detail, you will have a medical opinion consultation with one of our surgeons. During this consultation, they will discuss your medical issues and potential diagnosis of hyperparathyroidism and answer any questions you may have. Write down all the questions you have ahead of time so you are sure to get all the information you need. Schedule your operation. After completion of your medical opinion consultation, should our surgeons diagnose you with hyperparathyroidism and if you elect to receive an operation from us, you would then schedule your visit to Tampa. Keep in mind, just because you have hyperparathyroidism does not guarantee that you will be a suitable candidate for surgery. The decision to operate, and very importantly--which operation to do (the extent, degree, potential thyroid involvement, incision placement, etc), is made in Tampa following an extensive in-person examination, during which we examine you, view your scans, and evaluate your overall health. Make your travel arrangements. There is a lot more information about this on the bottom of this page that tells how long you stay in Tampa, when to come, when you can travel home, etc. We have hotels where most of our patients stay. Watch some of our videos so you understand more about parathyroid disease and how this small tumor affects many parts of your body. Watch the video of Dr Norman and Politz doing the operation very quickly and safely. Watch the video that gives a Tour of the Parathyroid Center at Tampa General Hospital so you can see where you are going and meet some of the people who will take care of you. See all our videos at on our Video Page. You can call us on the phone if you need to (we love communicating with our patients via email). Our office hours for new patients are 9:00 am to 4:00 pm EST Monday through Friday. During all other hours you can leave a message and we will return your call. Did we mention that we prefer email communication and if you call we won't be able to help too much until we see your history form and your labs? Please do not call us with a generic question about parathyroid disease or to see if you can be a patient of ours. If you have parathyroid disease, you can be a patient of ours! Remember, the operations are performed at the new Parathyroid Center at Tampa General Hospital, not at our office. Remember, a Minimally Invasive Radioguided Parathyroid operation (MIRP) can be performed on ALL patients with parathyroid disease. We want to look at all four glands, so showing us the big tumor on the scan doesn't help us much. Our skill level is far beyond that--we look at and evaluate the small normal glands too. If you do not have a scan yet, do not get one. If your scan is negative, we still do the same surgery. Do not let people tell you that you can't have minimal-parathyroid surgery because your scan is negative. It may be true for them, but they didn't invent the operation. Look folks, far too much emphasis is put on the scans and too many scans are being performed. More than half of all scans are wrong. Verification of Insurance, Co-Pays and Deductibles. When your chart is given to one of our doctors for their review and consultation with you, they will also give your information to our insurance experts: Gigi who sill do the initial verification, and Zaydee who will work on any authorizations that may be needed. If you are in our system and have filled out our New Patient Form then you can email Gigi, Trust us, this is very straightforward for almost all patients, so do not think you need to email her--she will automatically contact you when they have all your information figured out. If there is a problem, you will hear from us. Please know, all aspects of this operation are covered by insurance just like any other surgeons' office, with the exception of the Online Medical Opinion Consultation fee which is not covered by insurance. We are in-network and preferred providers for the vast majority of healthcare plans. Surgery Scheduling with Kathy. After your consultation with one of our surgeons, you will be instructed to contact Kathy via email, or by direct phone call to the office (813-972-0000). Kathy will help you choose a day for the operation and help coordinate the entire visit once things have progressed to this point. Have your calendar available when you call. Book Your Hotel. We work with a handful of hotels in the area, but most closely with the those listed on our Hotel Page. Watch the Movie of the operation. We have movie of this operation online and you should watch it. There is no blood and it takes just under 13 minutes to look at all four parathyroid glands and remove 2 tumors. It will help you understand where the incision is, and what your Band-Aid looks like. You will see just how small and quick this operation is. The movie is only 13 minutes long and is very educational. Watch the Video Tour of the Parathyroid Center at Tampa General Hospital. See where you will valet park and meet the folks who will take care of you. Go to our Learning By Videos page and watch all our cool videos. Look at our map of where all our patients come from. We've operated on your neighbors! 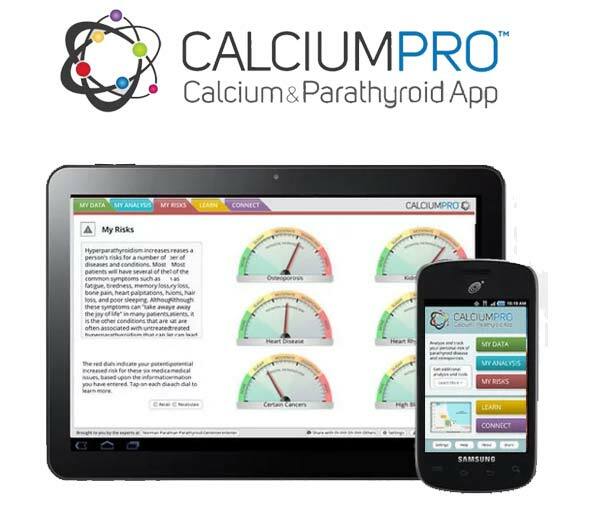 Download the CalciumPro app for your smart phone, iPad or Android device. It will track your calcium, vitamin D, osteoporosis and PTH. You will even be able to tell if we cured you after we take out your parathyroid tumor! This award winning app should be purchased ($2.99) by every person who has hyperparathyroidism. Even if you already know you have hyperparathyroidism, the app will graph your bone density / osteoporosis, vitamin D, and calcium for years to come. This allows you to see if you are taking enough calcium and how your bones are progressing. In order for us to confirm that you do have parathyroid disease (hyperparathyroidism) and that an operation is in your best interest (very high chance of cure + very low chance of complications = successful surgery), then we need some of your medical records sent to us. This shouldn't be too hard and usually can be done by you over the phone. Most of this cannot legally be done by us. Send us a copy of all your lab work (and doctor's notes). PRINT THIS PAGE to speed up the process. Print this form and take it or fax it to your doctor's office. Specifically we want to see what your calcium level is currently and what it was in the recent past (and distant past if available). The more calcium levels we have the better! We also need to know what your parathyroid hormone is currently and in the past, and again, the more we have the better...(but we will settle for just one or two parathyroid hormone levels if they show what is expected). Other labs will be helpful as well, so send them also... don't just send the calcium and parathyroid hormone levels. We want a good, safe outcome, so we need to know all of your important medical history. The doctor (or doctors) which has been working up your parathyroid problem will have "clinic notes" about you where he/she has been noting the parathyroid problem and other problems you may have as well. Use the fax or mail addresses below. Again, its better to send us too much than to send us only part of the picture. Getting your doctor's office to send your information to us is usually the slowest part of this entire process. Do not send us a copy of your parathyroid sestamibi scan. The vast majority of scans are wrong and are such poor quality that they are worthless. If you had one that said the tumor was in your chest, we may want to see it. If you haven't had a scan yet, do NOT get one. We will do the scan in the morning before you go to the operating room. We do our own ultrasound in the operating room after you are asleep. This gives the best scans and we get to "touch and see" what we scan 5 minutes later during the operation. If you don't have any scans, please do not get any. If you had a "4-D CT scan" or a "fusion Sestamibi scan" then please don't bother sending it to us. This is "new" technology that is usually innacurate and we do not use it. REMEMBER: If your scan is NOT positive you will still be able to have minimal-parathyroid surgery with us. Do not give up on minimal-parathyroid surgery because you have a negative scan. We are the only doctors in the world that do the same operation whether the scan is positive or negative. We do NOT require that you have a scan before you come here. We prefer that you do NOT have a scan prior to coming here. Write a brief clinical history of yourself. This is best done after you fill out the New Patient Form. Tell us your problems in your own words and correlate them to what your doctor's have told you and the results of your lab tests. Give us a picture of your overall health as well as your parathyroid problems. You will be able to email this to one of our Coordinators after they contact you by email to tell you that your chart has been opened. Email this to your Coordinator. Make a list of your current medications. We will have you insert this list into our online form. Pick a day for the procedure and then make travel arrangements. Kathy will help you decide which day will be best for you to come to Tampa and will book your operation at that time. Our surgeons operate together as a team on all patients and typically perform 15 parathyroid operations 5 days a week. You will meet at least two, and probably three surgeons when you are with us, and at least two of them will be taking care of you in the operating room. You will need to arrive in Tampa the afternoon before the operation and can leave the morning after (if you are traveling by car you can go home immediately after leaving the hospital). We have arrangements with several local hotels where you can stay the night before and after. Usually it is best if you get into town the afternoon or evening prior to the operation. All pre-registration with Tampa General Hospital will take place over the telephone and no pre-op testing is required. You will come to the hospital early in the morning of the operation. We have our own center at the hospital where you will be surrounded by people with the same problem as you. You will get checked in, spend time with several of our doctors discussing your case, get a sestamibi scan, review the scan with one of the doctors, meet the rest of the operating team, go to the operating room and have an ultrasound and then your operation, go to the recovery room for about 1.5 hours and then go home. That's it. If you are the first, second or third case of the day, you can expect to be out of the hospital on your way home by about 9:30 am. If you are the fourth, fifth, or sixth case of the day, you can expect to be out of the hospital on your way home by about 10:30 or 11:00 am. Etc. We perform roughly 3 operations ever hour and 20 minutes. The morning of the procedure you will get a high resolution parathyroid sestamibi scan. We do far more of these scans than anyone in the world, and we feel very confident in saying we are the best in the world at this scan. This scan will provide a good 3-dimensional view of where your parathyroid tumor is most likely located (more importantly, it shows us where it is NOT located). It also makes the parathyroid tumor radioactive for a few hours so we can use our probe to to measure the amount of hormone it and the normal glands are producing. This scan only takes between 15 and 20 minutes to complete (it doesn't take us several hours or half a day like it does at other places). All we use the scan for is to make sure the tumor is not in your chest, and to make sure you don't have a big thyroid problem. We do not use the scan to find the tumor. NOTE: Two of our surgeons do the parathyroid operations together and we never use residents who are learning to operate. Again, we don't have residents doing the operations. We don't use resident anesthesiologists either. There is nobody "learning" on your operation. This is very important to you. Have you watched the movie yet? Staying in town after the procedure. If you want to stay in a hotel the night of the procedure, that is ok and is what almost everybody who lives outside Florida does (if they don't have family or friends in the central Florida area). As discussed above, we have special deals with several local hotels which are fairly close by and quite inexpensive. It is RARE for anybody to spend more than one night in Tampa after the operation... and virtually nobody spends the night IN the hospital after a parathyroid operation--we haven't done that for over 22 years. (NOTE: If you have not read the "Testimonial Page" yet, please do so. Bottom line: People traveling by car can make plans to get in the car about 1.5 hours after the operation and head on home. People traveling by airplane should spend the night of the operation in a Tampa (or Orlando area) hotel and fly home the following day. What if I have problems? Who do I call? This is a common fear, but let's face it folks, if we had patients with problems after the operation on any kind of frequent basis, we would have been out of business many years ago. We are very good at what we do and we will make sure you are treated very safely. Our biggest rule is "Safety Trumps Convenience". All of our patients get a detailed sheet of postoperative instructions. Our patients start taking calcium pills about 10 minutes after surgery. All patients get all seven of our doctor's cell phone numbers--and are instructed to call them directly if they have any problems. We don't have an answering service. One of our doctors will call every patient the evening of the operation to make sure you understand what was found and to answer any more questions that you may have. Your doctors back home will get a copy of the operative report about 7 days after the operation, and about 7-10 days after the operation they will get a personal letter from our surgeons describing what was found, what was done, and what will likely be your calcium requirement for years to come (based on their experience with thousands of similar patients and the results of your bone density scans). All your doctors will get a photograph of your tumor with stickers on it describing the amount of hormone being produced by the tumor in the operating room and the low amount of hormone in your blood prior to going home. We are extremely organized and extremely good at communicating with all of your doctors. The bottom line is this: We have done so many of these operations that it has become a very routine out-patient procedure. Also note, we will send you copies of all of your reports too. When can I drive or fly home? When can I go back to work? Virtually all patients are sent home about 1.5 to 2 hours after their parathyroid operation. We have not had a parathyroid patient spend the night in the hospital in several years (more than 30,000 patients have gone home within 2.5 hours--it's that routine for us because this is all we do). People who travel by car will usually travel home when they are released (they should not drive for 24 hours, but they can be a passenger). We prefer patients who are flying to wait until the morning after the operation to travel by plane. As soon as you leave the hospital you can eat anything you like... we encourage you to go out to dinner and celebrate the first day of your new and improved life! You will be given a bottle of calcium pills and instructions on how often to take them. You will be taking Advil (Motrin, Ibuprofen) for pain--that's it--so bring some with you if you like. You can go back to work the day after the surgery, although some people take that day off too. It is very rare for somebody to require more than 24 hours to recover. The day after surgery you will have zero restrictions. Do what you want. You may have a sore throat, but you can do whatever you like (golf, exercise, etc). Follow Up. You are not required to come back to Tampa. You simply need to be seen by one of your regular doctors about two months after the operation, primarily to get your blood tested to measure your calcium and PTH levels. You do not need an endocrinologist if you don't have one already. We provide you with the lab slip that you use to get the blood testing done in your home town about 2 months after the operation; we will forward those results to all your doctors. We will email you these results as soon as we get them. You should see your doctor about 1-2 weeks after you get your blood drawn. We will communicate this with your physician at the time of your operation. This visit with your doctor is straightforward since there are no stitches to remove (you just peel off your Band-Aid in one week's time). All the stitches we use dissolve in about 1 month's time. When you see your doctor, he/she will have received everything from earlier, all organized, photographed, and easy to interpret. Remember, a small quick operation is not any good if we have problems...the number one goal is SAFETY...nothing else is more important. You do not have to worry about coming to Tampa for surgery and then having a problem with nobody to take care of you. If this happened, we'd be out of business years ago. You have all our doctor's cell phone numbers. We will be there for you. Click here to read the stories of over 2,000 people who had parathyroid surgery at the Norman Parathyroid Center. It is also highly recommended that you watch the most recent video, and our first, more formal video of a 4-gland minimal-parathyroid operation by Dr Norman, which includes a short lecture so you can know more about what to expect from your mini-parathyroid surgery with us. Many people also enjoy watching the video tour of the Parathyroid Center and meeting the folks who will take care of you. The "tour" video shows you how to get to the hospital and where to park. Why do we keep bringing up the quickness of our parathyroid operations? First of all... quick is dumb if it's not successful. The most important issue is safety, so always look at a surgeon's complication rates and success rates. If success rates are very high and complication rates are very low, then speed is the next most important factor. Speed is a function of repetition and competence. Quick operations have less dissection which means less pain and less bleeding. Less dissection decreases the potential for complications and damage to other neck structures like nerves. Quick operations require less anesthesia. People get much less sick and are able to get on with their lives very quickly after a 16-20 minute operation. Quick operations are tolerated by people very well. The best surgeons are often the quickest. When choosing your surgeon--regardless of who it is--you must always fall back on what is most important... success rates and complication rates. You will usually see that the best and most experienced surgeons have all three: Very High Success Rates, Extremely Few Complications, and Speed. Note, we can't operate on everybody who has a parathyroid problem. But, if this was an easy operation to perform we wouldn't do 25 times the amount of operations that Mayo Clinic does in a year, or 30 times more than Duke University, Johns Hopkins and Harvard do in a year--- you get the picture. That doesn't mean that there aren't great surgeons at these institutions, it simply means that you need to pick your surgeon wisely--one that performs parathyroid surgery at least several times per week. If parathyroid surgery was easy for every surgeon to perform, we wouldn't be in business because nobody would have the need to travel across the country to have us do their operation. If parathyroid surgery were easy, surgeons from dozens of major universities from around the US wouldn't come here for us to remove their tumor--or the tumor from their wife. Yet we operate on a surgeon several times per week and a doctor at least once per DAY. However, parathyroid surgery can be done very successfuly if you do it 15 or 16 times every day. Parathyroid surgery is NOT easy if you do it once every couple of weeks. Our surgeons have performed over 30,000 parathyroid operations. They work together as a team so you have at least two of the most experienced parathyroid surgeons in the world. We can't do everybody's operation, but please, be wise and pick a surgeon that does parathyroid surgery at least once per week. This is routine for us because is all we do. Check out our MAP, it shows where our patients come from. Some of them live within a few blocks of you! Often parathyroid patients will need a part of their thyroid removed during their thyroid operation (about 22% of our past 26,000 patients had a thyroid problem that we addressed with some form of thyroid nodule removal during their parathyroid operation). Nearly 75% of patients with a parathyroid tumor will also have a thyroid nodule--it is very common to have thyroid nodules (heck our surgeons have thyroid nodules themselves!). Most thyroid nodules are ho-hum, benign, normal lumps and bumps that we all get as we get older. Most thyroid nodules should be left alone. We perform ultrasound in the operating room while you are asleep so we can evaluate your thyroid. We then look and feel every patient's thyroid gland (Our doctors have seen more thyroid glands than any other doctors in the world). If a thyroid nodule is worrisome in any way and needs to be removed, then we remove it. Again, this is routine for us because of our high volume. Almost all patients that require the removal of a thyroid nodule or even an entire thyroid lobe (one half of the thyroid) will go home within 3 hours. Patients with thyroid problems in addition to parathyroid problems get the same treatment as those with just a parathyroid problem (same anesthesia in almost all cases, same incision, etc). We remove thyroid nodules and thyroid masses 4-5 times per day in patients that have thyroid nodules in addition to their parathyroid tumor. It usually adds a few minutes to the operation. Thus, if you are told "you cannot have mini-parathyroid surgery because you have a thyroid nodule", then know this depends on the skill and experience of the surgeon. Occasionally we will have a patient spend the night if we have to remove a very large thyroid goiter during the parathyroid operation (about 1 in 500 patients spends the night in the hospital). Patients over 250 pounds will sometimes need an incision about 1.5 inches long. However, almost all patients that have a thyroid nodule can have their thyroid nodule removed at the time of their mini-parathyroid operation--still through the same 1-inch incision, still with a near 100% cure rate, still expecting to go home in a few hours, and still without the need for general endotracheal anesthesia. The bottom line is safety... not speed... and not statistics. "Safety Trumps Convenience". All patients are treated as individuals and get personalized care that is tailored to their specific problem and their overall health. Nobody has seen more parathyroid disease than us. Nobody has seen more thyroid nodules than us... we deal with thyroid nodules all day long! One final note: we do not have a 100% cure rate, but there is no question that our cure rate is the highest in the world and is over 99%. IMPORTANT: Throughout this site we talk about Dr Norman, Dr Politz, Dr Lopez, Dr Ruan, Dr Boone, Dr Mitchell, and Dr Parrack in the same sentence. This is because at least two surgeons take part in the care of almost all patients in the operating room, although only one of them will have a consultation with to discuss your disease and potential treatments. You can expect to spend time with two or three of our surgeons at the hospital prior to your operation. This is when the formal decision to operate is made, and when the extent of the operation is decided (to include thyroid tumors, etc). Virtually every patient has two of our surgeons participating in their formal, in-person consultation to decide on surgery, and also during the actual operation. Thus patients get the benefit of having two or more extremely experienced surgeons. We'd venture to say, there is nothing in parathyroid disease that we have not seen--several times! Some patients will have Dr Lopez for their consultation, while others will have Dr Boone, Dr Politz, Dr Mitchell, Dr Parrack, Dr Ruan, or Dr Norman. However, two or three doctors will spend time with you at the hospital, and will perform your operation as a team. Final clarification: The consultation is by one of seven doctors, but the surgery is performed by two surgeons together. We really like our patients to watch the video of Dr Norman operating while Dr Politz narrates. Is is a great teaching video that answers a lot of questions. These are bloodless operations, clean, with a very small incision. The entire operation takes only 13 minutes and we evaluate all four parathyroid glands, removing TWO tumors (when the scan only showed one). This is why you want a surgeon who looks at all four. See our MAP of where all our patients come from. new Some are probably your neighbors! Updated weekly. Read our Parathyroid blog. It has great stories several times per week. See the statistics from Medicare showing we perform about 22 times the number of parathyroid operations than any other university or hospital in the world, and more than 8 times the top ten universities combined. For driving directions to the Parathyroid Center at Tampa General Hospital click here. For a Map of how to get to the Parathyroid Center at Tampa General Hospital click here. BEST: For Video Tour of how to drive and where to park when you come for your operation click here.